You’ve been pulled over, suspected of drunk driving or driving under the influence, what happens next? Hiring an experienced San Diego DUI Attorney should be your first step in resolution of this problem. The complexity of the California DUI laws, and the serious consequences from a drunk driving conviction, necessitate a highly qualified DUI attorney stand by your side. Once you have been arrested for drunk driving in California, the police officer must produce a sworn report and file it along with your suspended driver’s license at the DMV. A temporary driver’s license, valid for 30 days, will be issued at the time of your DUI arrest. If you live in the San Diego metropolitan area, where public transportation is sparse, you know how important it is to have the freedom to drive. In order to delay a 4-month suspension of your driver’s license, you must contact the California Department of Motor Vehicles within 10 days of your arrest to request a hearing. This is the initial step in your defense process and one that is separate from any court action taken on the drunk driving charge. Several critical factors can affect the outcome of your DMV hearing, including a review to determine if the alcohol testing was done in line with the prescribed laws. 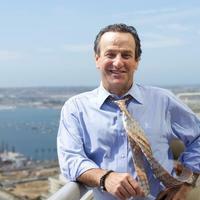 Only an experienced San Diego DUI defense attorney should handle this complex issue at a hearing. Did the officer have probably cause to believe you were driving drunk or under the influence of drugs? Did you have .08% or higher blood alcohol level when driving your vehicle? If the hearing officer’s review shows no basis for suspension or revocation of your driving privileges, your license will be returned to you. Most individuals charged with drunk driving (DUI, DWI) in San Diego are charged with violating both sections 23152(a) and 23152(b) of the California Vehicle Code. California Vehicle Code section 23152(a) is the traditional offense of driving under the influence of alcohol and/or drugs. In other words, regardless of the amount of alcohol you consumed, the alcohol affected your ability to drive in such a way that you were unable to drive like an ordinary, reasonable, prudent person who had consumed no alcohol. California Vehicle Code section 23152(b) is a “per-se” offense. If the alcohol level in your blood tests above .08%, you would be guilty of violating this code, regardless of how well you may have been driving. Even though you may be charged with or even convicted of drunk driving (DUI, DWI), you can only be punished for violating one section code. An experienced San Diego DUI attorney can advise you if your case falls into this category. While most drunk driving cases are prosecuted as misdemeanors, some will have aggravating circumstances that lead to a California felony DUI conviction. As you can see, even the penalties for first-offense misdemeanor DUI convictions are serious – just a few reasons why representation by an experienced San Diego DUI attorney is important. The ideal resolution to a drunk driving (DUI, DWI) case is an absolute dismissal of all charges. Charges may be dropped in one of two ways: either the case is dismissed prior to going to trial, or a verdict of “not guilty” is obtained at trial. The facts behind each drunk driving case are different. A full investigation by a skilled San Diego criminal defense attorney can have a dramatic impact on the results of your case. Put my years of successful DUI defense experience to work for you. Give me a call today at (619) 239-2186 to discuss the details of your case.